Sports betting legislation is on the rise with PASPA out of the way. Before the SCOTUS decision was handed down, multiple states were working out legislation and the NBA and MLB were sure to be a part of it. They want ‘integrity fees,’ which they claim are to help them maintain the integrity of their leagues through monitoring and enforcement of illegal betting activity. Now, integrity fees seem more like data control fees, which would go towards organizations with exclusive intellectual property rights regarding league data—these are official league sources. The question is, do the leagues have a right to impose such control over sports betting data and how it is used? If you think of watching any sporting event, you’ll likely remember a brief message that goes out with each broadcast. It will be something like, “this broadcast is copyrighted by the NBA…” This means the league technically owns that entire event. There are also intellectual property rights like team names, colors, logos, etc. While the leagues may pitch they own what happens on the field, some lawmakers disagree and limit their ownership to just the broadcast. The Solicitor General even noted that the telecast itself is the sole piece of copyrightable material. There have been several instances in the past where the leagues fought and lost for data control. In 2004, the PGA landed in hot water for what was perceived as them monopolizing real-time golf data. It was an antitrust case about the PGA denying Morris Communications (the company behind the broadcasts) from free-riding” on the PGA broadcasts. “Free-riding” is a principle mentioned by several major league representatives and centers on other businesses (sportsbooks, betting venues, broadcasters, etc.) from profiting off what they consider their intellectual property. Another case saw the Eight Circuit Court of Appeals rule that the MLB did not own data that goes into fantasy games. Furthermore, they stated the data was within the public domain. While it seems difficult for the leagues to maintain that they own the data used for sports betting and should have it protected, it is not impossible. The MLB and NBA have been able to get states to include clauses that support data usage rights for some components of domestic sports wagering. 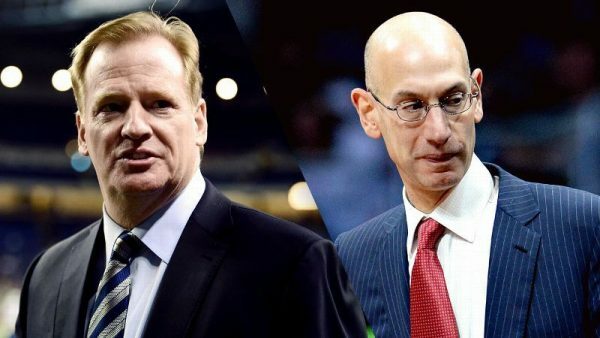 The NFL recently laid out their demands for legal betting and data rights were a part of it. It seems that the leagues are not getting the amount of control that they want, but at least some control that creates a foot-in-the-door situation with the potential for the future. Data usage with reporting bets may not seem like a big deal in the grand scheme of betting, but it is in the sense that it would allow the leagues to monopolize sports gambling and make money off something they shouldn’t.